Indian captain Virat Kohli has already gone on record saying that he does not want to pick up fights and instead focus on his own game. The hostility of the Australian media has reared its ugly head once again. This time they are after the Indian team and have already started slinging dirt towards the visitors. They have had a past of riling up oppositions even before the series starts and then this plays out on the field. Now a leading news tabloid has called the Indian cricketers "The Scaredy Bats" upon their arrival in Adelaide for the first Test, starting December 6. The report claims that the Indian team is scared of the bounce in Brisbane, scared of the unknown in Perth and scared of the dark in Adelaide, signifying the visitors' refusal to play a day and night Test in Adelaide. Indian captain Virat Kohli has always shared an uneasy relationship with the Australian media. He was even called 'Donald Trump of cricket' during Australia's tour of India. 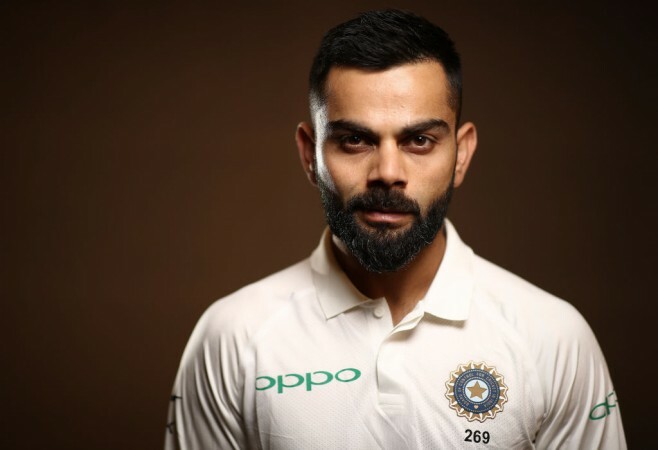 Kohli had slammed Steve Smith for taking the assistance of the dressing room for availing umpire's review system during the Bengaluru Test. The Indian captain has been in great form this year and will be the key wicket for the hosts. "We know in last 50 years India have struggled to win Test series away from home. For any team travelling to UK playing against a team as good as England, it is going to be difficult," former captain Ricky Ponting said. "But when it comes to getting engaged in an argument on the field or in a fight, as people want to call it excitedly, I have been completely okay with playing without an altercation. "I am very happy within my own space so on a personal level I don't find the need to go and find these things anymore. I mean I have enough belief in my ability that I can play without a reason to pump myself up," Kohli said.